A recently retired master assassin, The Bride (played by Thurman) is gunned down on her wedding day by Bill (David Carradine of the 1970s American TV series Kung Fu), her onetime boss and lover. She wakes up from a coma four years later and resolves to wreak vengeance by hunting down the killers in Bill's posse?a multinational Charlie's Angels-style trio called the Deadly Viper Assassination Squad, played by Daryl Hannah, Lucy Liu and Vivica Fox. Eventually, one can safely assume, The Bride will eliminate Bill himself. 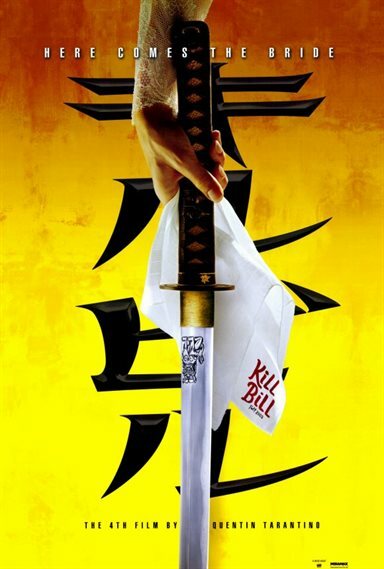 Download Kill Bill Vol 1 in Digital HD from the iTunes store. Kill Bill Vol 1 images are © Miramax Films. All Rights Reserved.